to share one computer and display the same image on the 8 monitors synchrony. 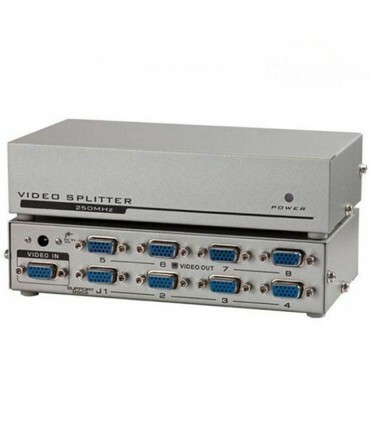 Duplicate one VGA video signal to 8 VGA displays. Enable 8 VGA/SVGA/XGA Multisync Monitors, LCDs, projectors and etc, to share one computer and display the same image on four monitors synchrony.